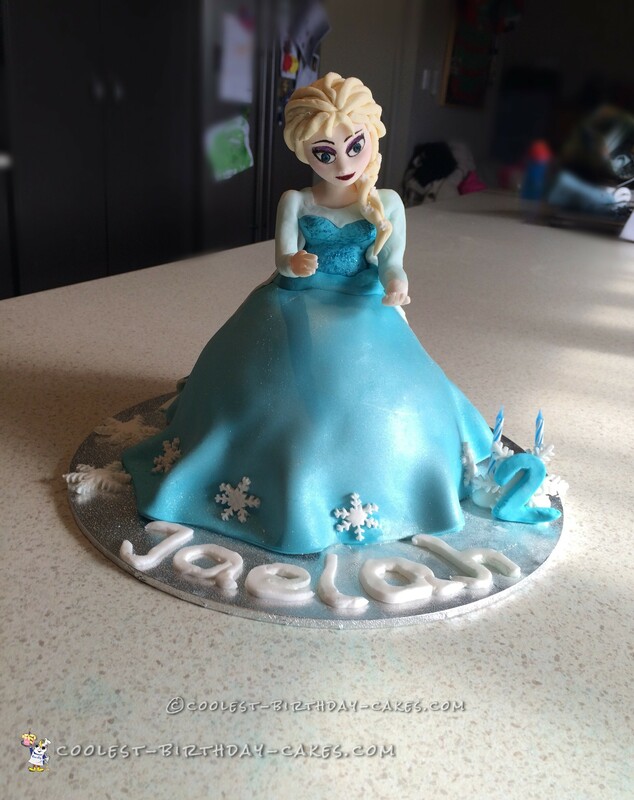 My daughter is a Frozen fanatic so I had to make an Elsa cake and I wanted her to be all edible. I started a week early and made the Elsa figure out of fondant and added talos powder and she only needed 1 toothpick to support her . I made a mold of her head using a doll of Elsa and casting gel, and then painted her features. I used fondant and edible glitter for her torso and the skirt was fondant and glitter dust. I did a cape on the back with a bit of silver and blue glitter. I made blue velvet cake for her skirt. Everyone loved the Elsa cake and my daughter was amazed. Birthday cake idea Posted by Jules H.